McDiarmid, C.J.H, & Müller, T. (2011). 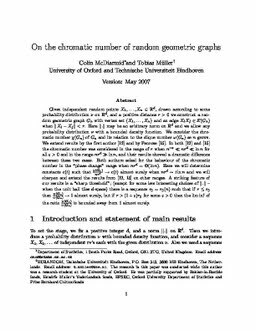 On the chromatic number of random geometric graphs. Combinatorica, 31(4), 423–488.